What is the favourite Monty Python Sketch? What happened in Wind River and can a single FBI agent solve the crime? We have been sent not only the trailer but two featurettes and some images. 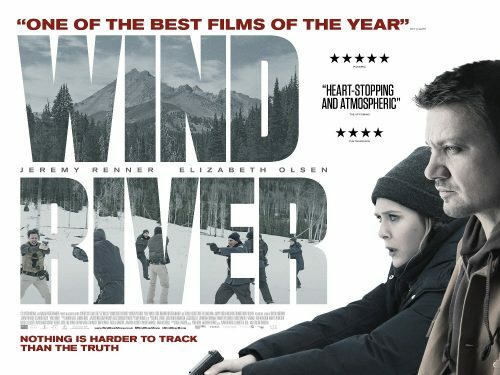 WIND RIVER follows U.S. Fish & Wildlife agent Cory Lambert as he is forced to confront his past when he joins a rookie FBI agent in a quest to solve a murder on the Wind River Indian Reservation in Wyoming. Cory Lambert discovers a body in the rugged wilderness of the Wind River Indian Reservation. The situation is eerily similar to the death of his own daughter. The FBI sends rookie agent Jane Banner to investigate. A Florida native, Jane is completely unprepared for the oppressive weather and isolation that is the essence of winter in Wyoming, and the extreme difficulties it places of the investigation. She employs Cory as a guide and tracker to assist her. Together, they venture deep into a world ravaged by violence and the elements. While Jane is compelled to rely more on her instincts than her education, Cory is forced to confront emotions buried years ago as the possibility of solving not only this murder, but also the disappearance of his daughter, unfolds before him. WIND RIVER is a stark look at life on the edge of the largest wilderness in the lower 48, where the rule of law is eclipsed by the laws of nature. Jane will be forced to face her greatest weaknesses as a search for answers becomes a fight for survival. For Cory, he must overcome his deepest fear to achieve his quest for redemption.